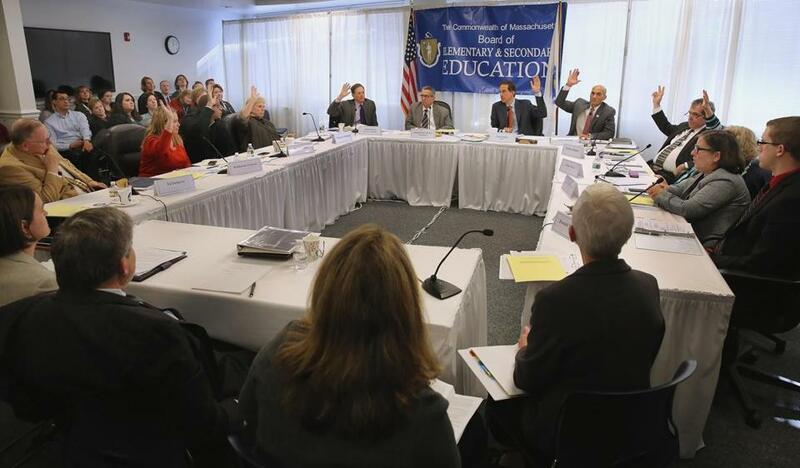 The Massachusetts Board of Elementary and Secondary Education voted Tuesday to create a new MCAS that will incorporate elements of PARCC. Across the state, 10,000 high school students spent much of the first week of November retaking the Massachusetts Comprehensive Assessment System in math and English, tests they need to pass to graduate. On Tuesday, the state Board of Education voted to create a new MCAS that will incorporate elements of the Partnership for Assessment of Readiness for College and Careers test, or PARCC. The Legislature, meanwhile, is debating a two-year moratorium on tying teacher evaluations and high school diplomas to standardized test scores. Standardized tests have become a ubiquitous part of American education since the federal No Child Left Behind law of 2001. These tests can play an important role in holding districts and states accountable, highlighting struggling schools, and shining a spotlight on wide academic achievement gaps. The discussion over high-stakes testing in Massachusetts is important, but we risk overlooking new ideas that are being tried elsewhere in the country. MCAS and PARCC are high-stakes “summative” tests: They measure student progress annually, with results returned months later, and they test “isolated skills,” like the ability to calculate the volume of a sphere or identifying the meaning of a word in a passage. But “formative” tests are also important — tests that are shorter, more frequent, and provide immediate feedback to teachers, identifying what students understand and what material needs to be revisited. 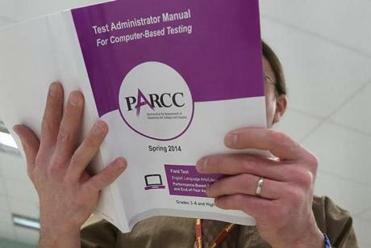 Most educators agree that PARCC is indeed a superior test. Why not fully adopt it as a testing program for now? For summative and formative tests, there are renewed efforts to devise assessments that measure “integrated” knowledge — students’ ability to combine skills to solve problems in a real-world context. In New Hampshire, instead of traditional standardized tests, some fourth-graders last spring were asked to design and budget a new city park, and then write a persuasive report of their findings, addressing the town’s Board of Selectmen. Rather than answer isolated, multiple-choice questions about vectors and momentum, some high school students spent three days estimating the results of a car crash by applying data from previous accidents, including speed, brake time, and the distance between vehicles. These new competency-based assessments test whether students can apply their knowledge in context to solve problems. Rather than interrupting instruction for nearly weeklong tests, these assessments — part of a New Hampshire Department of Education pilot project with a Boston-based nonprofit, the Center for Collaborative Education — are woven into the curriculum. Instead of New York’s Regents exams, students in 38 high schools create projects — say, 15-page literary essays or original neuroscience experiments, followed by hourlong presentations to outside professionals. The work is directly linked to the curriculum and assesses integrated skills necessary for college success. Here in Massachusetts, Curriculum Associates, an ed-tech publisher, creates adaptive diagnostic assessments coupled with differentiated instruction, including quick daily check-ins that pinpoint where individual students are struggling in real time, allowing teachers to adapt and customize instruction. Three weeks ago, President Obama called on Congress and the states to cut the total of hours students spend per school yearon testing (25 hours, on average, in the case of eighth-graders) and rethink the design of standardized testing. In his proposed 2016 budget, he suggests a competition for creating innovative assessments. The focus on new approaches to testing presents a great opportunity for Massachusetts. As the national leader in education and a hub for education technology, we can drive transformation — not only developing a new MCAS, but helping to reimagine the entire structure and design of how we measure student progress and how we hold schools accountable for success.